At least three people were killed when a small plane crashed into a house Friday afternoon while trying to land at a central Florida airport, the Florida Highway Patrol said. The 1957 Beechcraft H35 Bonanza was heading from Fort Pierce to Knoxville, Tenn., when it began experiencing mechanical problems, FHP Lt. Justin Asbury said. Deputies said initial reports said the pilot declared an emergency at about 2:10 p.m. after reporting the plane was severely shaking, NBC station WESH of Orlando reported. Flagler County Airport Director Roy Sieger told the Dayton Beach News-Journal that according to flight controllers the pilot of the plane reported smoke in the cockpit at 2:18 p.m. and the crash occurred at 2:19. The Flagler County Sheriff's Office said the plane hit a Palm Coast home just east of the Flagler County Airport. Robert Ferrigno, who lives down the street, said he heard the crash from his home. "Planes go over here all the time, but this afternoon, I heard, 'putt, putt, putt,' and then I heard, 'boom,'" Ferrigno said. "I looked outside, and there were flames shooting up over the trees." Ferrigno and another neighbor, Armando Gonzalez, ran down the street to the crash site. The home's owner — identified by FHP as Susan Crockett — was already outside when they arrived, screaming that a plane had crashed into her house. "The house was in flames, and there were explosions — boom, boom, boom — inside the house," Gonzalez said. He said the tail appeared to be sticking out the roof of the single-story ranch home. Ferrigno added that the crash had thrown insulation everywhere, saying, "It looked like it was snowing." Crockett was taken to a nearby hospital as a precaution, Asbury said. She was listed in stable condition. Well that's a "one in a million" chance. LMAO! It's the scene from World According To Garp, Robbin Willaims starred in it. Here's the trailer, Skip to 1:13 if you're in a huge rush. ... unsettling. I don't know where I belong." "The house was in flames, and there were explosions — boom, boom, boom — inside the house,"
do these things happen in the Uk?? i NEVER SEE THEM IN THE bbc, tELEGRAPH, mAIL OR nOW. An Indianapolis resident and two men from Kentucky were aboard the plane that crashed into a house in Palm Coast Friday afternoon. Michael R. Anders, 57, and Duane L. Shaw, 59, both of Albany, Ky., and Charissee M. Peoples, 42, of Indianapolis, were traveling from Fort Pierce to Knoxville, Tenn., when they crashed into a home at 22 Utica Path in Palm Coast, according to the Florida Highway Patrol. 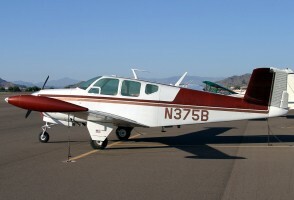 1957 Beechcraft H35 Bonanza was registered in the British Virgin Islands. The pilot reported engine trouble and saw smoke before hitting rough weather. 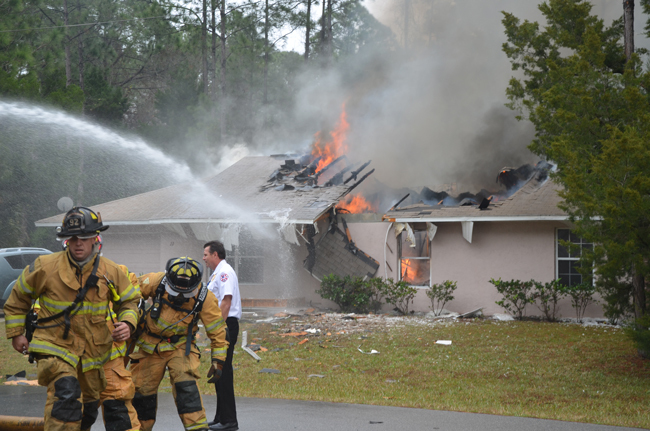 After that, 911 calls started coming in to the Flagler County Sheriff’s Office about a plane crashing into a home in the Seminole Woods Subdivision of Palm Coast. The plane crashed through the roof of the home and caught fire. Only parts of the wing remained. A resident of the home was in her bedroom when the crash happened, and she escaped through a window. She was treated and released from a local hospital. Anders, the pilot, was a teacher at Clinton County High School in Albany, Ky., according to the Daytona Beach News-Journal. Albany is a small town near the Tennessee border northwest of Knoxville. Anders lived in Spring Creek and coached chess and golf. He was flying back with Shaw and his fiancee, Peoples, from a vacation in the Caribbean, according to the News-Journal, and was heading for an emergency landing at Flagler County’s airport when the plane crashed. Crime scene tape surrounds the house in Palm Coast, Fla. that a small plane crashed into on Friday, Jan. 4, 2013. Authorities say at least three people are dead after the plane crashed while trying to land at Flagler County Airport. The house's occupant escaped through a window with no serious injuries. The plane that crashed, seen here parked at an airport in Arizona in 2006, when it was under a different ownership. I lived in a neighborhood that was located within a mile before the begining of the landing strip of a small private airport and I feared this for 4 years. Hearing the damn engines slow as they come in right above the house I always imagined what I would do and out the back window was always what I thought would go down.